Today I am on my way to Cleveland, Ohio for the very first time. 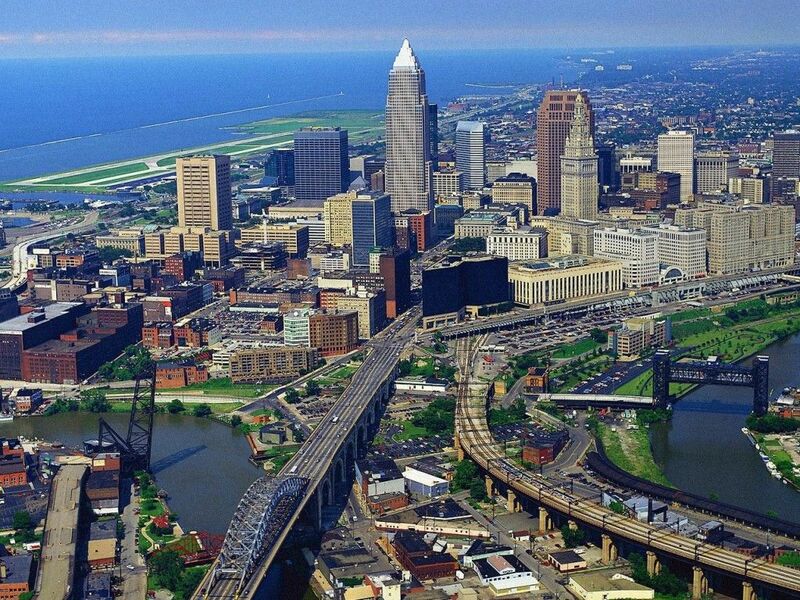 I’ve never set foot in Cleveland although I have been to Cincinnati, Columbus, Dayton, Chillicothe and other cities. I’m preaching for Rev. Derek Witcher, pastor of the Israelite Missionary Baptist Church, who I met on the internet through my preachers Forum I’ve operated for years. They are having their Family and Friends Day on Sunday and I’m looking forward to the fellowship. I’m leaving First Baptist in capable hands this weekend. I’ve been superbly blessed to have dedicated men and women to serve as Associate Ministers. I know they will be serve well in my absence. Coaches: UO’s Chip Kelly (38-6 at UO and overall), Mike Leach (2-2 at WSU, 86-45 overall). Latest line: Oregon by 28. What’s at stake: Oregon ventures out on the road for the first time this season to face a mediocre WSU team in a venue that has not been kind to out-of-state teams. Last Monday, Green Bay lost to Seattle thanks to a questionable call on a last-second touchdown pass. On Thursday, Washington upset No. 8 Stanford. Now it’s WSU’s turn to host a game at CenturyLink. UO offense vs. WSU defense: Good defenses have a tough time slowing down Oregon. So how much trouble should WSU’s defense, ranked 12th in the conference, have with the Ducks? Plenty. Linebacker Travis Long leads the conference in sacks (6 1/2) and Deone Bucannon ranks tied for third in tackles (32). But even with them the Cougars have allowed 473 yards per game against teams below the caliber of Oregon. That said, last season WSU hung tough with Oregon. The Cougars trailed 15-10 at halftime before losing 43-28 and outgained the Ducks 462-454. UO defense vs. WSU offense: The Cougars will come out slinging it. WSU is averaging 46.7 pass attempts per game. However, they haven’t been very impactful attempts. The Cougars rank fourth in the conference in passing yards per game (313.8) with Connor Halliday and Jeff Tuel sharing the quarterback snaps and have produced 10 touchdown passes (third in the conference). Tuel missed the past two games with knee injury. Top wide receiver Marquess Wilson has 18 receptions for 317 yards and four touchdowns. But WSU lacks much of a running game and making it somewhat one-dimensional. Not a good formula for attacking Oregon’s defense. Individual matchup to watch: Wilson vs. Oregon cornerbacks Terrance Mitchell and Ifo Ekpre-Olomu. Both Oregon defensive backs have performed well this season but they have yet to face a wide receiver of Wilson’s caliber. NFLDraftScout.com ranks Wilson has a potential second-round pick in next April’s NFL Draft should the junior leave early. Key injuries: Oregon — wide receiver Josh Huff (knee) has missed two games. Defensive tackle Jared Ebert (knee) has missed two games. Linebacker Keloni Kamalani (arm) has missed three games. Washington State — Tuel (knee) is questionable. Key stat: 2.7 — Washington State’s average yards per rush. The Cougars rank last in the conference in rushing at 59 yards per game. Every other conference team averages at least 100 yards per game. They said it: “I watched my boys (the Dallas Cowboys) lose a couple of weeks ago in Seattle (against the Seahawks). Hopefully I can get some revenge.” Oregon quarterback Marcus Mariota, a big Dallas fan. Prediction: WSU lacks the defense to slow Oregon and the firepower on offense to score with Oregon. Oregon 47, WSU 17. Adam Jude’s pick: Oregon 55, WSU 17.